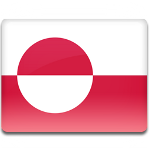 The major national holiday in Greenland is National Day (Ullortuneq), that is annually celebrated on June 21. The festival is organized in every settlement and town of Greenland. Greenland is an autonomous country within Denmark. It's not member of the European Union, although Denmark is. Denmark granted Greenland Home Rule on May 1, 1979, thus extending its state's powers. National Day was introduced in 1983 as one of the Home Rule traditions. The longest day of the year was chosen for National Day, that seems logical. On this day nation celebrates its national and cultural values. People often wear national costumes and carry small flags of Greenland. Usually celebration consist of morning songs and speeches, hoisting of the flag. Then official part is proceeded by church service. After that everyone enjoys kaffemik (tradition of having a coffee), different local entertainments, like music, folk dance, display of kayaking skills. There is another historic event, that is celebrated on June 21. Denmark granted further autonomy and self rule to Greenland on June 21, 2009.